A nasty racketing noise woke me up from my sleep. I pulled myself out of the bed and snarled at parah to shut up! But parah continued making that stupid noise. Birds can get nasty i tell you! I picked out some dry peanuts from the refrigerator and forced the bowl inside the parrots cage. "will you shut up now Parah!" I barked at the tiny creature. Parah, the parrot's eyes wandered towards me...she gave me a piercing look, as if she wanted to tell me something telepathically. Who cares! I shut the door on her little beak, and ran upstairs to get ready for my friend, Meera's Birthday party. The racketing continued. It was a cold winter morning, and the snow was falling fast on the chilled ground. I was wearing my best Cinderella gown and doing my final makeup touch ups, while the driver put the limousine to a halt. We had finally arrived! A happy me, got outside the car and started towards the wonderfully decorated stairs of Meera's house. Meera greeted me at the entrance and complimented me on my dress, i blushed. The entire house was full of women who looked stunning in their pretty gowns and men who looked suave in their party blazers. The tables were laden with every delicious dish, one could ever imagine of. My eyes wandered towards a room which looked deserted. Wonder why no one had occupied it. There in that room was a magnificent wardrobe, inside the wardrobe was an enormous pizza. Oh! how i loved pizzas! There was no one around...Meera's house had disappeared and so had all the guests. I was all alone in some green woods full of barbed wires and fences, still clutching the rest of the pizza slice which had brought me here,to this weird,alien land. I heard voices, and on going further, i realized that i was not alone. There were humans, yes! humans like me, but they were caged, and being guarded by strange creatures. I stared in astonishment as hundreds of men,women, and children stuck out their necks from their cages, to see who this new girl was. As if this strange sight was not enough, i couldn't believe my eyes when i realized that those strange creatures who were guarding the cage were none other than animals. Yes! Talking animals of every kind! As a small lion cub shifted his gaze towards me, i hid behind a wood, but too late! BAAM.. There was an insane noise and before i knew it, the cub had caged me. I screamed and tried to break the net, but another lion helped the little cub, and i was helpless. "This girl is so cute, papa. Can i keep her as my pet? the little cub asked the huge lion. "Sure son! She's your birthday present" replied the huge lion. I was so scared, i started crying and screaming....but no one would hear. Mom! Dad! Where are you? help me! But they were miles away!The little cub dragged me to an extra large cage, and forced me inside it. "You are my pet from now, and don't worry! I'll take good care of you" he told me with happiness written on his face. Everyday he would feed me with fresh fruits and fish and also give me water, but i wasn't happy. I was caged! I wanted to go back to Ma and Pa and my friends....had they started looking for me? I sobbed, wailed, cried but no one would understand! One day, the Lion cub and his father came to meet me and feed me. "Papa, this girl is so lucky na. She doesn't have to go hunting for food, we do that for her, and she gets free water too. This is her heaven! What more would anybody want!" his father agreed to this. That moment, i thought of parah, my pet parrot and tears pooled out of my eyes. I had always said the same thing about her, but today when i was in her place, caged, i knew how it felt! With a sudden urge to free her, free myself, i picked up the rest of the magical pizza slice and ate it. I was back into the same party. I heard people dancing and enjoying, they were free! It was time i freed Parah too! With a sudden movement i rushed towards the door, out of the party house, sat in my limousine, and i was in my way......on my way, to free Parah, my pet parrot! So friends, that was how, Meera's fun party turned into an adventurous learning experience for me. Do you want to join the adventure too? Go here :D A very Happy Birthday to ' A Rat's Nibble'. This post was written for the Nibble Promptly contest at A Rat's Nibble! Beautiful message... Free the birds... same goes for the women who are tangled in the ordeals of society. And Bushra, this story can be made into a nice animated movie. I was imagining the same while reading. Good work. Exactly Ashish.....women need to be freed too! I thought something fishy was going to happen!! Hahaha.....All the best for the contest ! This is so creative. I love only dogs n tortoises as pet. Its really cruel to keep birds caged. Loved the post. Hope u win!!! Empathy and sympathy are two different things and only when you experience it do you understand what others feel. Nice role play as the person being caged, felt your frustration and the desire to be free. Appreciate your love for your pet and the kudos to your courage to set the bird free. It takes guts and a lot of in fighting before freedom comes any ones way. Hats off!! Beautiful message! Love it. 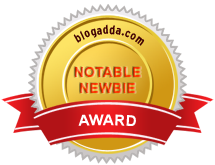 I'm here via indiblogger and I liked your story and felt like leaving you some thoughts as a fellow writer. Anything I say here is to help you write a better story so please don't mind and sorry if anything is felt too strong. 1) The basic English here needs improvement. I don't refer to grammer or such alone, we have enough softwares and spell-checks for that. I'm talking about the vocabulary and expression. For example, in the beginning you repeat the parrots name far too often and needlessly and the overly simple language makes it seem more akin to a childrens tale than a more mature parable. 2) The rest of the story is mostly alright, but modifying some details would definitely help - for example if she stuff the pizza remains into a pocket or if it was a couple of small chocolates instead and she stuff the last one in the pocket and forgets it until later. You could create the ambiguity this way as to whether it was real or just a day-dream and maybe have help that by just a stray line before she eats where something in the pizza/chocolate (some ingredient) is one she casually remembers she needs to get more for as her parrot loves them. Hi bushra, well drafted.. flow was impeccable and even more the message was so clear and it would definitely strike a chord with readers. .
Good one with a message. Wonderful message the free spirit of these beautiful creatures shouldn't be caged for our own luxury. Let The Birds Free.. You Have Written This so B'fully!! Bush, You Are One Hell of a Talented Girl!! And, Your DP.. Cutie Pie! Nice entry with a good message! :) All the best! Auto Werbeartikel gravieren kundenspezifische mit Schlüsselanhänger ein Objekten! und attraktiven bietet ihnen Plan nach, werden, verstecken! Nice Post with nice Message in it. . .